Our mobile service makes it easy for you by installing our products at a location of your choice so you don’t have to waste your time or money getting to and from a garage and wait for the job to be completed! So whether it’s your home or work, our friendly and professional mobile engineers will fully test all installations before leaving your location. 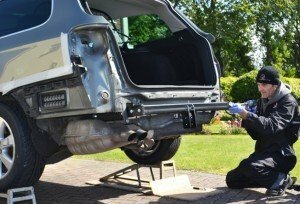 Every care is taken to ensure that our customers are aware of any existing damage to their vehicle. Our engineer carries out a full vehicle check, including bodywork and lights. If the vehicle has the facility, we plug in our recoding tool and check for any existing electrical faults which we then highlight to our customer. We always ask our customer to then sign off the vehicle before handing over the keys to our engineer. When we have completed an installation we fully test and demonstrate the product to our customer and then carry out a final vehicle check together. 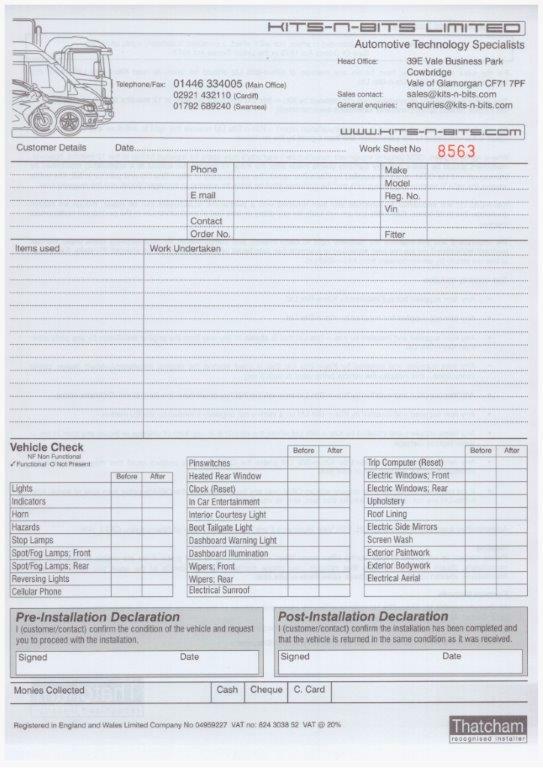 The paperwork is completed and the vehicle is once again signed off by the customer. 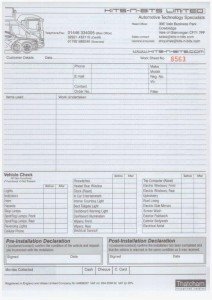 The engineer with retain a copy of the job sheet and pass another to the customer who can retain for reference.